Allen & Heath will be highlighting some of its compact dLive touring systems at Prolight + Sound in Hall 8.0 Booth #G50. Currently in use with many international touring artists, from German metal band Accept, to pop artist Sigrid, dLive Wings systems have rapidly established themselves as an options for compact touring. 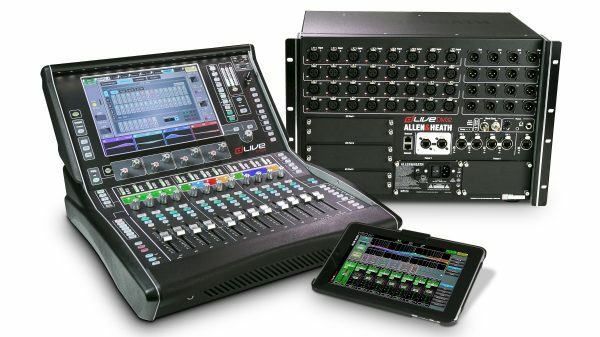 Central to the dLive Wings concept is the compact C1500 surface, which allows engineers to manage upscale shows from a 19-inch console, using its 12-inch touchscreen, 19 assignable SoftKeys and 12 faders over 6 layers. Paired with any of the dLive MixRacks, the C1500 is for fly-dates, bus tours, support slots and other scenarios where space and weight are at a premium. For scenarios where users are seeking an even more compact solution, the company will also be showing off a surfaceless dLive system, with a pair of touchscreens running dLive Director software controlling the MixRack and a headphones / PFL feed over Dante. These surfaceless systems are often paired with Allen & Heath’s IP8 and IP6 controllers, and/or the MixPad App for even more control options. Allen & Heath will also be showing its Qu and ZED ranges, plus visitors will be able to get hands-on with its “mixers of the moment,” the SQ series, complete with optional DEEP processing plugins.